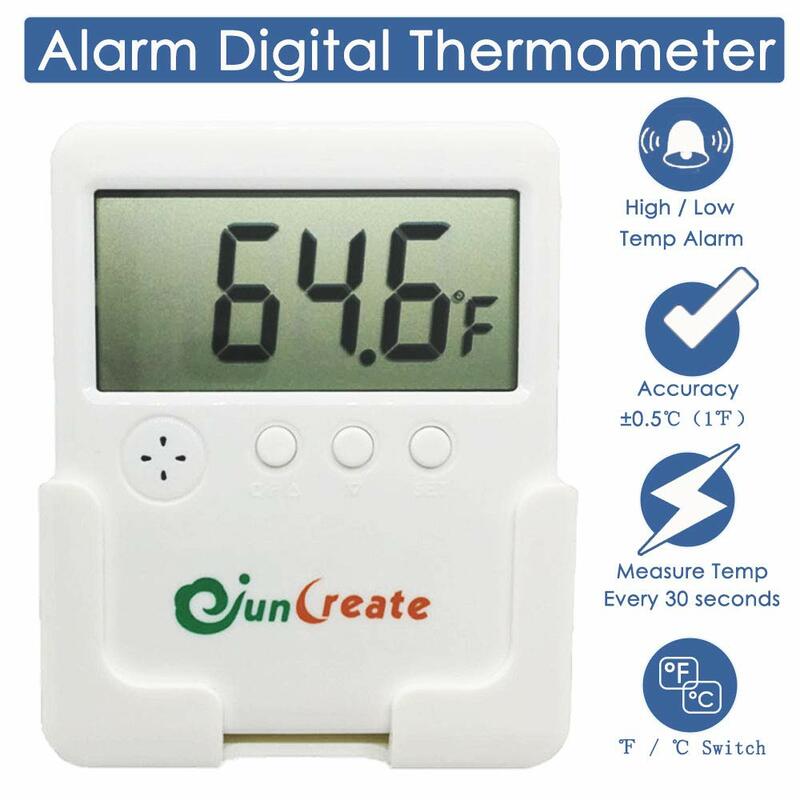 This square digital Thermometer is essential for Aquarium Fish Tank,Reptile Amphibians terrariums,Home and Kitchen.It comes with a clear and easy to read LCD screen, display accurate temperature readings ranging from 0~70°C / 32~158°F. highest/lowest Fish Tank temperature alarm. Frost point alarm(default setting): 20°C～30°C(68°F～86°F). Quick Press set key, once to check the lowest temperature,twice to check the highest temperature,three times to check the current temperature. Long press set key until the number flashes,you can click up or down key to add or subtract the number to set up the lowest temperature you want it to alarm. Then quick press set key until the number flashes,you can click up or down key to add or subtract the number to set up the highest temperature you want it to alarm. If you replace the battery, this thermometer will be back to °C and default low temperature flash point is 20 °C, default high temperature flash point is 30 °C, it will alarm if your local temperature is lower than 20 °C or higher than 30 °C, pls set up a high enough temperature and a low enough temperature If you do not want it to alarm.The sound alarm will last for 60 seconds,after that, the current temperature number will flash.